The next time you’re running through your neighborhood park, watching your children’s school play, or perusing the produce at your local farmers market, take a moment to stop and look around. And realize that nearly one in seven of your fellow Oregonians faces food insecurity. 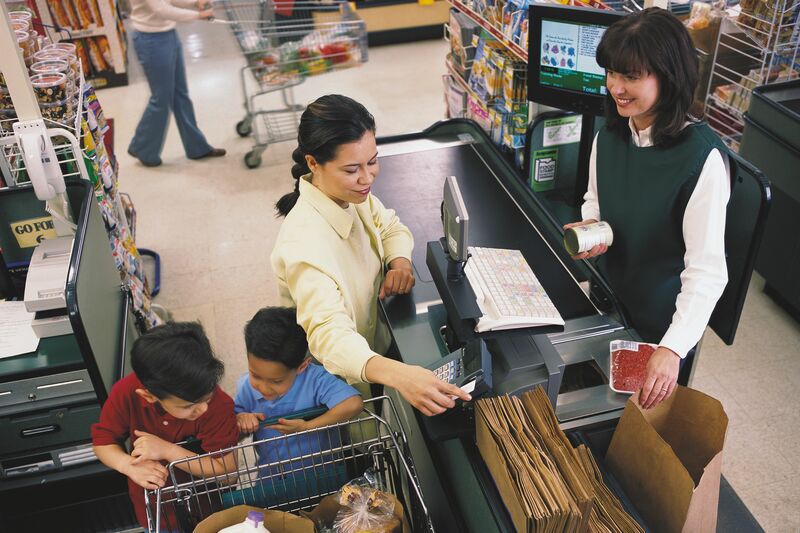 This puts a heavy burden on tens of thousands of individuals and families who are hungry, and it makes it difficult for communities across the state to flourish when they are failing to meet this most basic need. Enter corporate partners who know they have a role to play in making Oregon better. 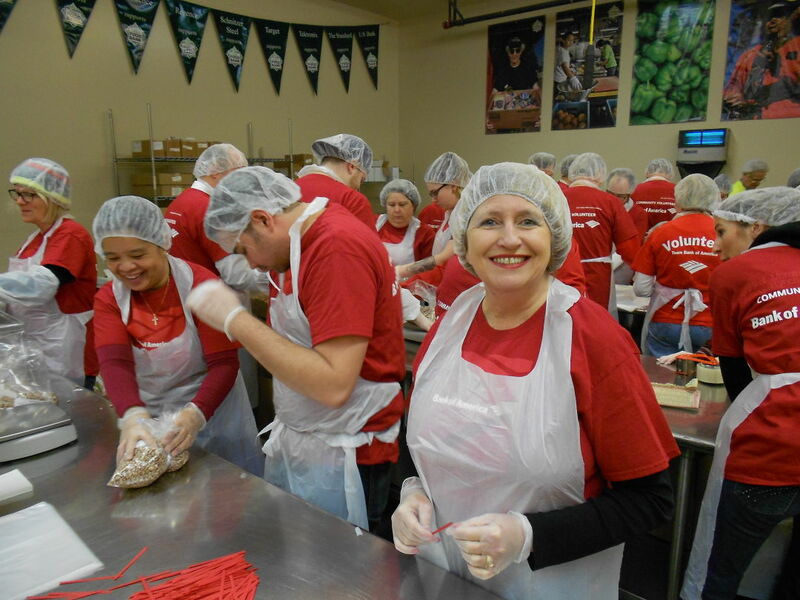 Bank of America had long supported the cause of hunger, but seven years ago the company kicked up its efforts and created a specific new funding track for its corporate philanthropy, called Hunger & Critical Needs. 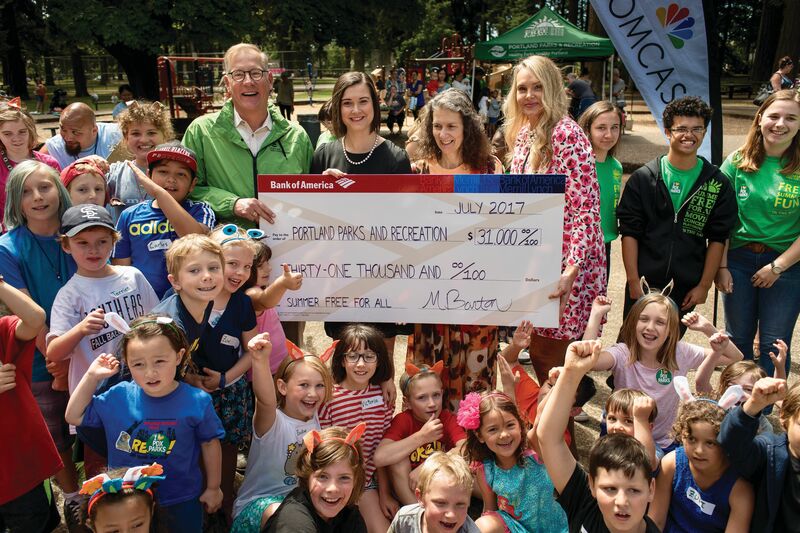 “Bank of America values being part of the solution to help remove barriers that prevent local communities from thriving — and having a focus on hunger is something that’s certainly needed,” says Roger Hinshaw, Bank of America’s Market President for Oregon and SW Washington. 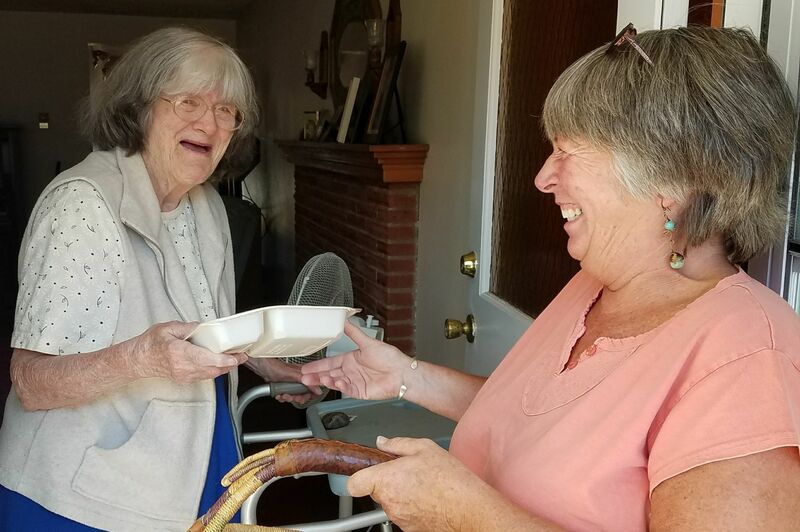 Hinshaw references Partners for a Hunger-Free Oregon’s stats that indicate Oregon recently experienced the greatest drop in hunger in 20 years. While that’s a positive sign, there’s still a long way to go: Oregon is America’s 13th-hungriest state. 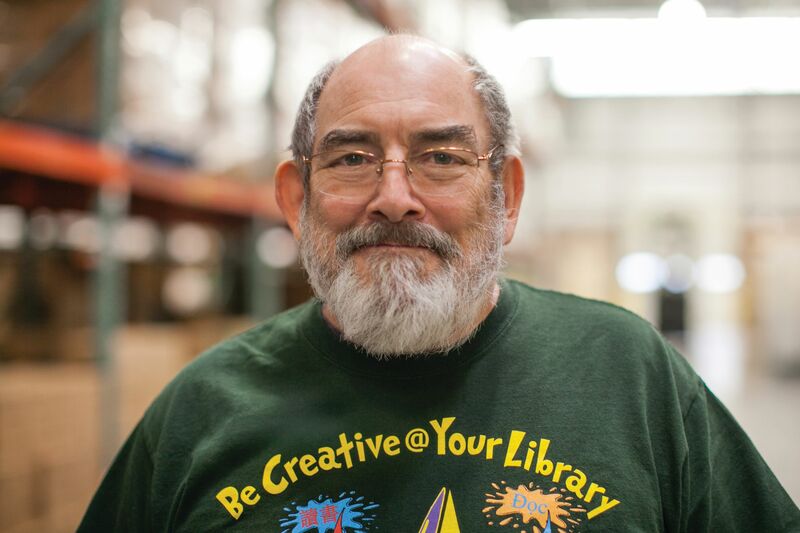 Each year, the Oregon Food Bank Network serves more than 740,000 people locally, and a third of them are children. 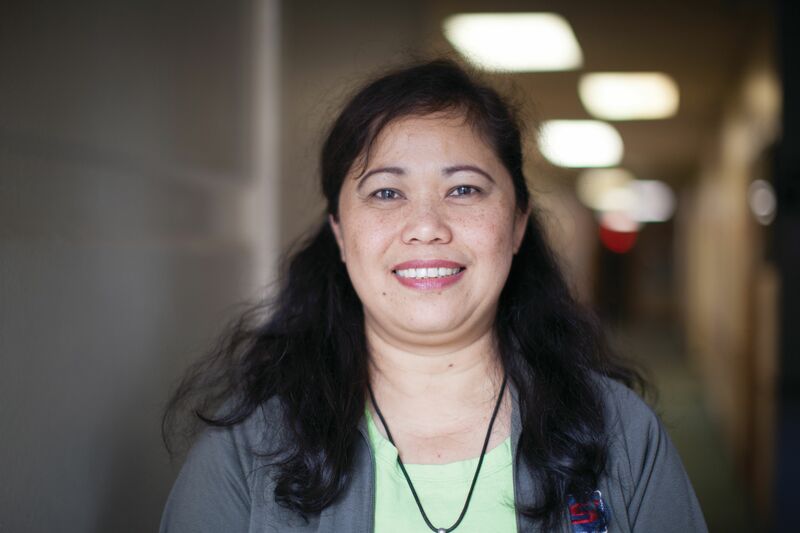 In support of that work, in recent years Bank of America has given Oregon Food Bank more than $325,000 in grants and financial support. But crucially, the company gives much more than dollars. “We embraced Oregon Food Bank to be a key partner on this issue in the true sense of the word,” says Hinshaw. 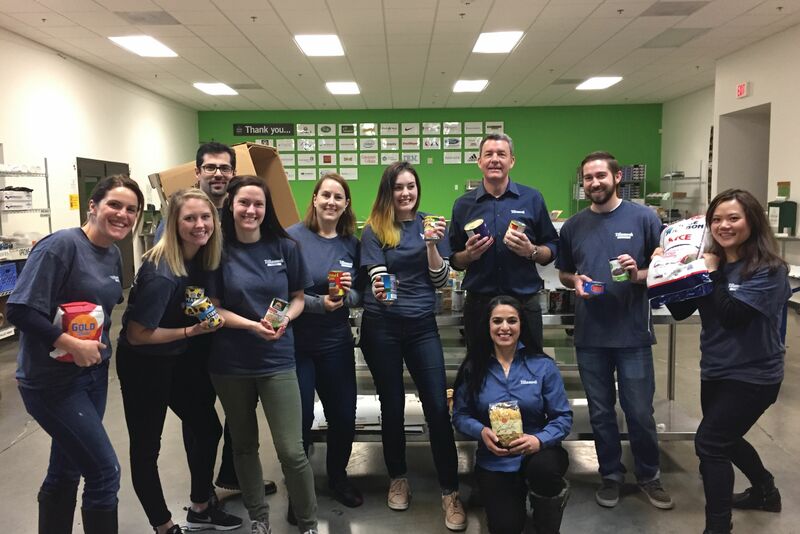 The local leadership team devised a multi-pronged approach that builds awareness among employees, clients, and the community around food insecurity, and creates ways for them to help and be involved — ranging from monthly volunteering; MLK Day of Service leadership and underwriting; matching donations; and more. 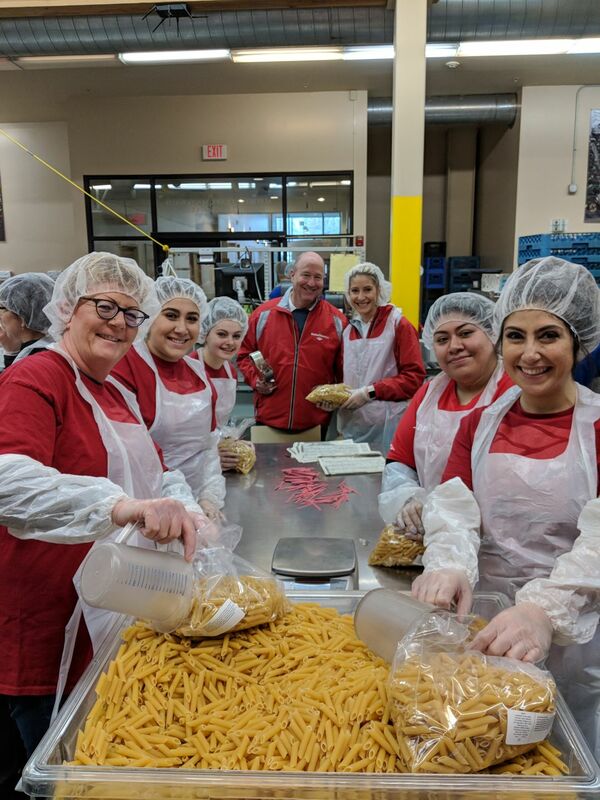 Bank of America is also part of the Give-A-Meal national partnership with Feeding America that matches dollars donated for local food banks. 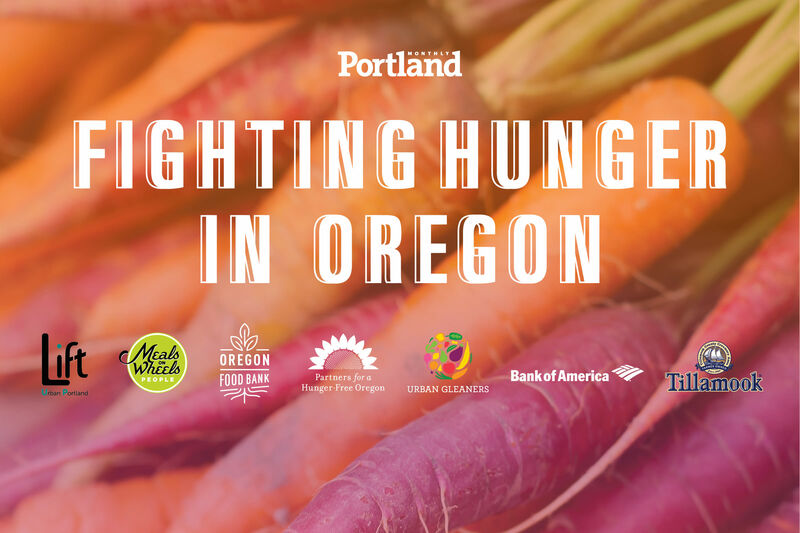 Last year, this campaign raised over $20,000 for the Oregon Food Bank. And later this fall, it will run again. Hinshaw and Barton know there’s more work to be done. They hope this story might encourage other companies to lock arms with them around the cause. “Since Oregon is so collaborative and our culture is one where we share best practices with each other, by sharing our experience of addressing hunger at the corporate level — and how we took a multi-pronged approach, beyond just writing a check — this might create awareness of what’s possible for companies out there who want to help, but aren’t sure how to get started,” says Hinshaw.